Cyprus Throwdown is a three-day event taking place in the beautiful island of Cyprus from the 18th to the 20th of October 2019. The event is powered by CrossFit Cosmos and is taking place for a fourth consecutive year. 570 athletes on various divisions will earn their spot in the finals, through the online qualifiers. Join us for an event full of spectacular challenges and remarkable athletes that you will not forget! Individual registration window opens on 01/04/2019 and closes on 05/07/2019. To register please click here. Team registration window opens on 01/04/2019 and closes on 30/04/2019. To register please click here. Workout 1 to be announced on 01/07/2019. Submission deadline is 05/07/2019. Workout 2 to be announced on 07/07/2019. Submission deadline is 12/07/2019. Workout 3 to be announced on 14/07/2019. Submission deadline is 19/07/2019. Workout 1 to be announced on 01/05/2019. Submission deadline is 07/05/2019. Workout 2 to be announced on 08/05/2019. Submission deadline is 14/05/2019. Workout 3 to be announced on 15/05/2019. Submission deadline is 21/05/2019. 570 athletes will earn their spot in the finals, through the online qualifiers. 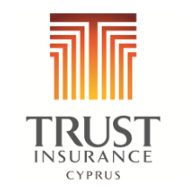 Finals will take place in the beautiful island of Cyprus from the 18th to the 20th of October 2019. Minimum of total prizes 20.000 euro. We need your help in order to have a great event. So if you are interested to be a volunteer or a judge for the Cyprus Throwdown 2019, please send us your details at volunteer@cyprusthowdown.eu and we will contact you. Do you envision being a part of the Cyprus Throwdown 2019 as a sponsor, partner or vendor? We would like to hear from you! Get in touch with us on info@cyprusthrowdown.eu .